BTS drop MV for 'Boy with Luv' feat. Halsey! BTS have dropped their music video for "Boy with Luv" featuring American singer-songwriter Halsey! In the MV, BTS take over a diner before heading to the theater, where they meet up with Halsey, and finally hit the big stage. 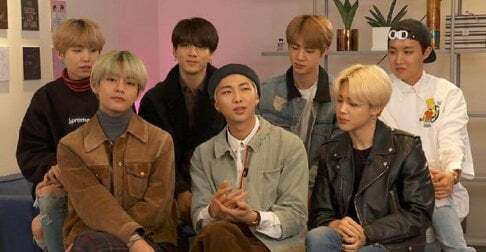 "Boy with Luv" is about being head over heels in love, and it's the title track of the group's latest album 'Map of the Soul: Persona'. Check out BTS' "Boy with Luv" MV above, and let us know what you think in the comments below. This is very radio-friendly compared to their previous tracks. I believe it being their first release for Persona series this is their 'pop idol persona' they put up.